Finding the best way to achieve success with NGSS can feel overwhelming,but it just got a whole lot easier. Science4Us aligns with NGSS for K-2, so all you have to do is begin a lesson, and your students will master the concepts and skills they need in the most engaging way possible. The following is an example of how Science4Us brings NGSS to life through animated lessons, including digital and real-world activities. NGSS places a much greater emphasis upon experiential learning. It recognizes that students need both knowledge and practice to succeed in science and engineering. At Science4Us, we believe in a hands-on approach to learning, and include opportunities to engage in science or engineering practices in every lesson. We understand the challenge of finding the time and resources for hands-on science, which is why we provide thousands of offline, real-world activities that can be as short as 20 minutes, and often involve everyday materials found in the classroom. One of our real-world activities corresponding to the standard “Matter and its Interactions” challenges students to design an investigation about the properties of matter that evaluates everyday objects found in the classroom. The students must organize their findings in a Venn diagram and then communicate their findings to the class. Fittingly named “Ad-VENN-tures with Matter,” this activity aligns with the science practice “plan and conduct an investigation to describe and classify different kinds of materials” (2-PS1-1). Fostering engineering practices in K-2 means building foundational skills such as defining problems, analyzing data, and presenting solutions. The Engineering Connection in the standard “Matter and its Interactions” encourages students to understand that their knowledge of the natural world, in this case the science concepts related to matter, can help them in the engineering design and construction process. 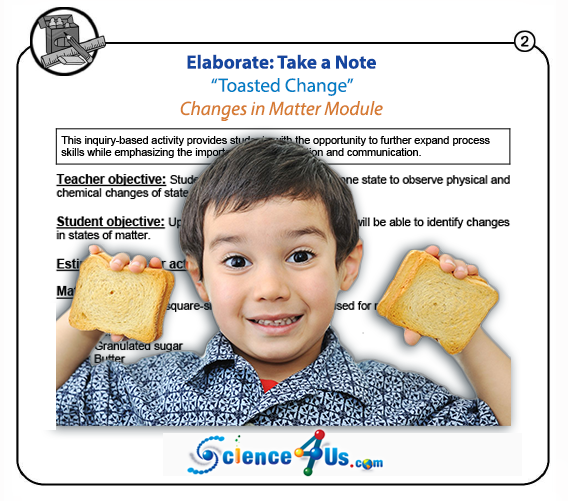 An offline resource in Science4Us asks students to use their knowledge of the natural world to engineer a creation — in this case, students must draw upon their studies of physical and chemical reactions in order to make a piece of cinnamon toast! NGSS lists core ideas that students must master. One of the core ideas within the standard “Matter and its Interactions” is about changes in matter, including chemical reactions (PS1.B). Science4Us lets students play around with physical and chemical changes by transporting them to a virtual carnival! NGSS highlights seven key crosscutting concepts that can be found throughout the fields of science and engineering, so that students can make connections across subject areas. Science4Us helps students make these connections by emphasizing crosscutting concepts in each lesson. The standard “Matter and its Interactions” asks students to investigate the crosscutting concept of “Energy and Matter” as it applies to breaking down objects into smaller pieces (2-PS1-3). 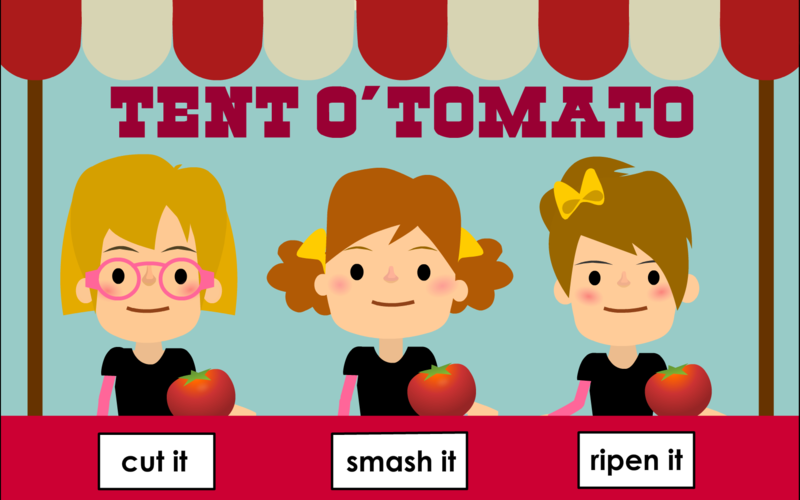 This deconstruction game teaches students about how the crosscutting concept “Energy and Matter” applies to the idea of breaking down objects (2-PS1-3). Both NGSS and Science4Us were built upon the belief that it is important to integrate literacy into science instruction. This interdisciplinary approach helps teachers maximize their class time by allowing students to learn new science concepts while also improving their literacy skills. Within the standard “Matter and Its Interactions,” one of the literacy skills listed is to ask who, what, where, when, why and how questions with regards to changes in matter (R1.2.1) (2-PS1-4). 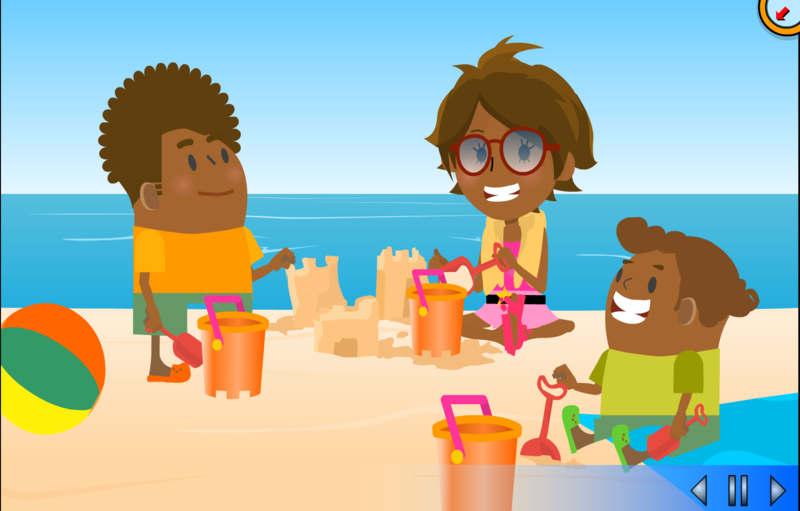 Science4Us created a science rap about a family trip to the beach, and all the changes in matter that the family observes. Students build language skills as they listen to this fun science song, which also prompts great who, what, where, when, why and how questions to check understanding. NGSS incorporates math into the teaching of science, and Science4Us believes that this interdisciplinary approach is an invaluable way to save class time and help students make connections across subjects. Within the standard “Matter and its Interactions,” one of the math skills required is to reason abstractly and quantitatively as students practice the science standard of connecting the properties of materials to their purpose (MP.2)(2-PS1-2). Science4Us gives students the opportunity to practice these math and science skills as they complete an activity in their Digital Notebooks. The Digital Notebook is a tool always available to students, in which they can write and draw their ideas. Because this math and science activity occurs in the Digital Notebook, it fosters literacy skills as well. This notebook entry asks students to use their mathematical reasoning skills to choose which things can be used to describe objects. 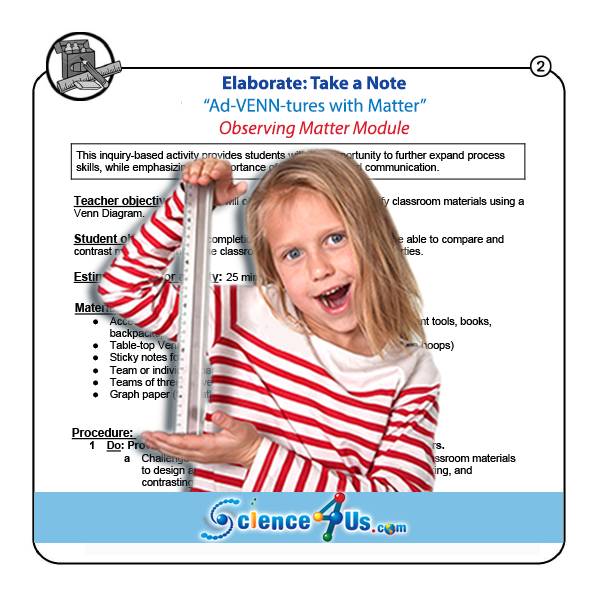 This activity in the Science4Us Digital Notebook asks students to use their mathematical reasoning skills to help them understand a science concept about materials and their purpose (MP.2)(2-PS1-2).